I'm pleased to announce we have expanded our luxury party bags range, with the addition of these beautiful cotton drawstring bags. Each bag is made from heavy weight unbleached cotton and is fastened with a rope style drawstring. 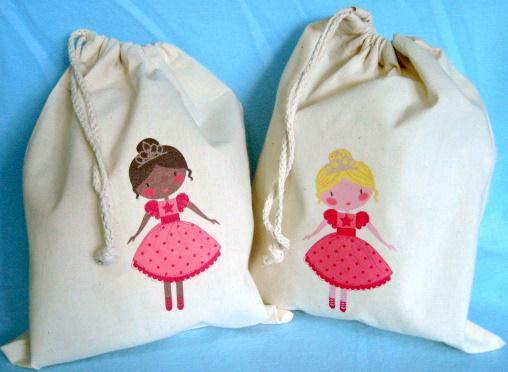 Hand printed with one of our personalised party characters, they are the ideal luxury party bag for your little ones. We will soon be adding personalised versions - details to follow!